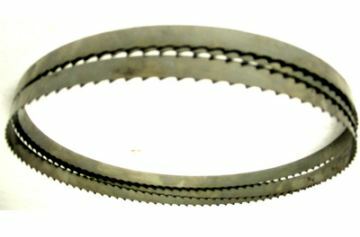 Scalloped edge band saw blade measures 142 Inch x 5/8 x .022. This band saw blade is suitable for cutting boneless meat, poultry, fish, vegetables, fruit, and bread. Fits Hobart butcher band saw models 5700, 5701, 5801, 6801, and other band saws.